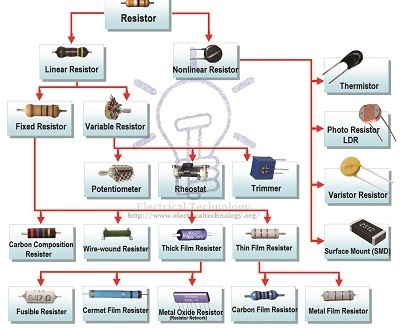 The electronic component known as the resistor is best described as electrical friction. 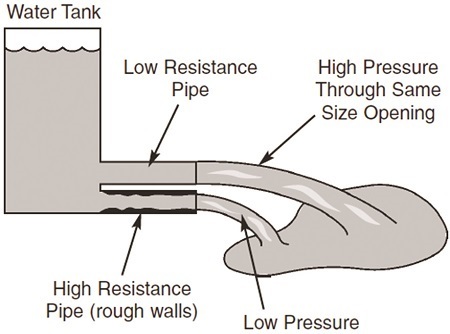 For comprehending resistance, let us suppose that electricity travels through hollow pipes like water (figure 1). Assume two pipes are filled with water and one pipe has very rough walls. It would be easy to say that it is more difficult to push the water through the rough-walled pipe than through a pipe with smooth walls. The pipe with rough walls could be described as having more resistance to movement than the smooth one. Capacitors are components that can store electrical pressure (Voltage) for long periods of time. 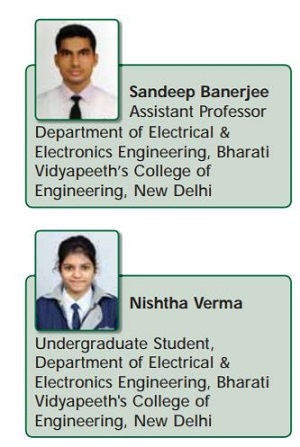 When a capacitor has a difference in voltage (electrical pressure) between its two leads, it is said to be charged. A capacitor is charged by forcing a one way (DC) current to flow through it for a short period of time. 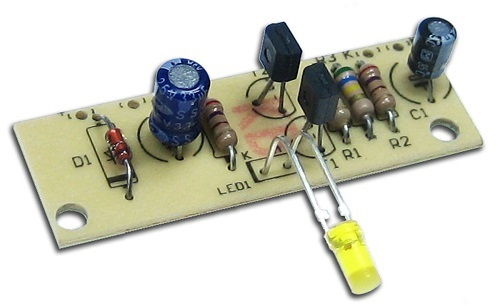 It can be discharged by letting an opposite direction current flow out of the capacitor. Consider for a moment the analogy of a water pipe that has a rubber diaphragm sealing off each side of the pipe as shown in figure 3. If the pipe had a plunger on one end, as shown in the figure, and the plunger was pushed toward the diaphragm, the water in the pipe would force the rubber to stretch out until the force of the rubber pushing back on the water was equal to the force of the plunger. One could say that the pipe is charged and ready to push the plunger back. In fact, if the plunger is released it will move back to its original position. Figure 4 illustrates the symbols for different capacitor types. 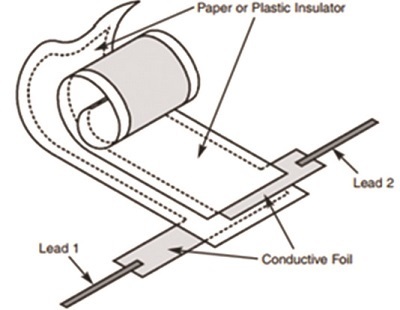 The most common form of capacitor- the metal foil capacitor, is constructed by tightly winding two foil metal plates that are separated by sheets of paper or plastic as shown in figure 5. 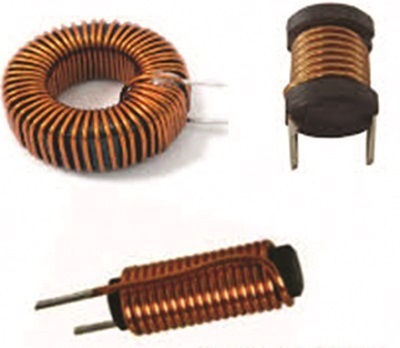 The electronic component known as the inductor is best described as electrical momentum. 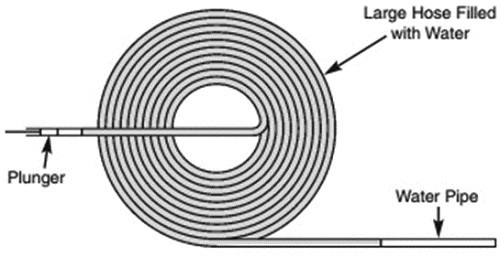 In the water pipe analogy, the inductor would be equivalent to a very long hose that is wrapped around itself many times (see figure 6). If the hose is very long it will contain many gallons of water. When pressure is applied to one end of the hose, the thousands of gallons of water would not start to move instantly. It would take time to get the water moving due to inertia (a body at rest wants to stay at rest). After a while the water would start to move and pick up speed. The speed would increase until the friction of the hose applied equals the amount of pressure being applied to the water. If someone tries to instantly stop the water from moving by holding the plunger, the momentum (a body in motion wants to stay in motion) of the water would cause a large negative pressure (Suction) that would pull the plunger from the hands. Figure 7 illustrates the different inductor shapes. Table I gives a comparison of inductors and capacitors. An electronic diode passes current in one direction and blocks it in the opposite direction. It can be compared to a check valve as shown in figure 8. The basic function of a check valve is to allow water to flow in only one direction. 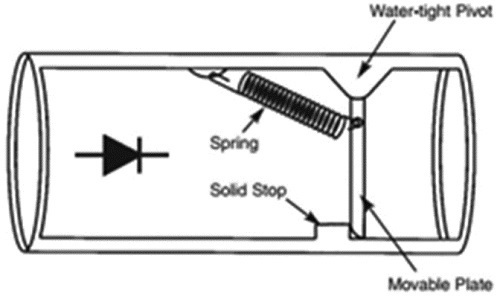 Once the force of the spring is exceeded, the plate moves away from the stop, allowing water to pass through the pipe. A flow of water in the opposite direction is blocked by the solid stop and plate. Figure 9 is an illustration of the symbol of a diode.